Manila, Philippines - The people have spoken on social media, Filipinos don't want anymore PDAF popularly known as 'pork barrel'. After the scandalous 10-B peso 'pork' barrel scam that heats up outrage online, it's about time to scrap the virus that leads to corruption. The PDAF, whose pre-cursor is the Countrywide Development Fund (CDF) established in 1990, is supposed to fund the needs of every Filipino on a priority basis as identified by the national government. Now, it has already mutated into a multi-billion racket allegedly perpetrated by syndicates in both the public and private sectors. 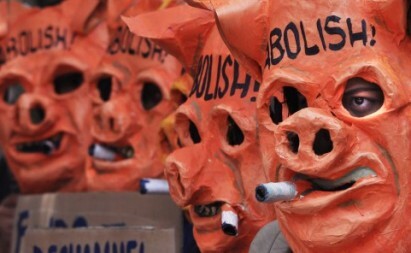 Despite proper use and disbursement by well-meaning public officials and despite its statutory laudable purpose, the misconception that the pork barrel has become a form of "horse trading" and a major source of corruption in the government is apparently starting to become real in the eyes of the Filipino people. "I call for the scrapping of a very corrupt and corrupting system in our political institutions.We now must move to abolish the pork barrel system. We must see its end during our watch without need to mourn its loss. It is a virus of corruption that must die." "One thing, I may say is apodictic. It is still counting. There is nothing in the pork barrel system that gives us pride. There is only everything that makes us hide in shame. It should not matter anymore under what name the system sounds. Be it the Countrywide Development Fund, or the Congressional Initiative Allocation, or the Priority Development Assistance Fund. It is, and will remain to be a fund of compulsive corruption." "Our countrymen expect to see every peso of their taxes wisely spent on every project. They become profoundly disillusioned every time they are robbed of it. Under the pork barrel system, only less than half of the taxpayers' money actually goes to the programs of work. More than half habitually goes to the pockets of corruption. Occasionally, depending on the insatiability of the corrupt, a shameful twenty percent of the fund is left to finance the project. Holy mackerel!" Last August 22, Senator Chiz Escudero has formally asked the senate to abolish the priority development assistance fund (PDAF) by filing Senate Resolution No. 193 (PSR No.193). Escudero, chairman of the senate committee on finance is coming in from the heels of his resolution, PSR No. 41 asking the senate to probe the pork barrel scam when it first hit the public through a series of investigative reports on a major broadsheet. "The PDAF should now be abolished in general". 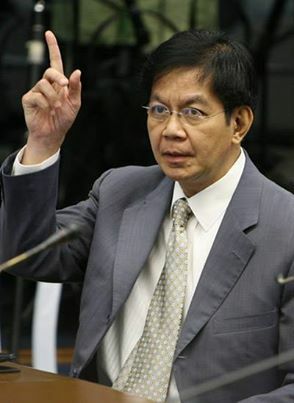 He says Congress should limit itself to the enactment of the national budget and the Executive to its implementation. Opposite to the original statement about PDAF, President Benigno Aquino III on Friday, August 23 at a press briefing at Malacañang Palace expressed his stand to abolish PDAF. But wait, the President will not totally remove 'pork barrel' system but instead will create new system, a US style mechanism. "Now, we will create a new mechanism to address the needs of your constituents and sectors, in a manner that is transparent, methodical and rational, and not susceptible to abuse or corruption." According to analyst and critics, Aquino will not change the loathed pork barrel system a growing number of Filipinos blame for perpetuating corruption and patronage politics. "To Mr. Aquino, pork by any other name is still pork," said Renato Reyes Jr., secretary general of the Bagong Alyansang Makabayan, as he pointed out that Aquino made much about the PDAF of lawmakers but did not mention his own, much larger, pork barrel. Hearty Allocation of Money (HAM). Tomorrow, August 26 at 9AM, million of Filipinos will march to Luneta to express a collective outrage against corruption, particularly the recent allegations regarding the misuse of PHP25Billion PDAF funds. With a battle cry to abolish the pork barrel system, netizens outside Metro Manila can also participate on Million People March at Naga, Cebu, Baguio, Digos, Bacolod and Iloilo City.